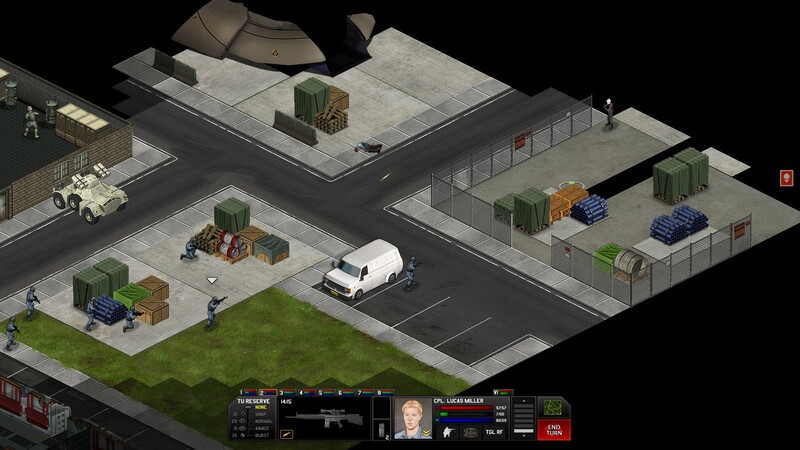 I’ve previously written about Xenonauts, the indie strategy game inspired by UFO: Enemy Unknown/X-Com: UFO Defence. Developer Goldhawk Interactive has taken pre-orders for a long time, but now it’s launched a Kickstarter campaign to raise US$50,000, and released a public, alpha demo of the game. Is it worth your attention? As with the original X-Com, your first sight of the game will be its world map – black, stark and crisp, but still recognisably the good old Geoscape. Zooming down to an individual base reveals management has been tidied up. One general store will now hold all your goods. Conventional Earth weapons are now available in unlimited supply – not only does this make sense thematically, it cuts down on the workload at the start of the game. Unusable loot (e.g. duplicates of a widget you’ve already researched) is automatically sold or destroyed. Soldiers’ stats – and their encumbrance! – are now visible on the inventory screen. All in all, the emphasis here seems clearly on reducing tedious maintenance in between the good parts. Air battles are much more involved than in the original game. Instead of hitting one button to engage, your aircraft and the UFOs now manoeuvre in pausable real-time – a little like a real-time Steambirds. And unlike the original game, where two air-to-air weapons were hands-down optimal (Avalanche missiles at the start of the game, then plasma beams once they became available), Xenonauts’ air combat is closer to rock-paper-scissors. You now have two fighters available early on, and each fills a different role: F-17 Condors armed with cannon and light missiles are good against small, agile UFOs, while lumbering MiG-32s with Avalanche torpedoes are good against bigger foes. So far this is a nice change, though it’s possible it could eventually become repetitive. Xenonauts’ clean UI and aesthetic are also evident in its battles. There are fewer buttons to worry about; the art style is simple but clear; and a faint dark outline helps you pick out soldiers and aliens. 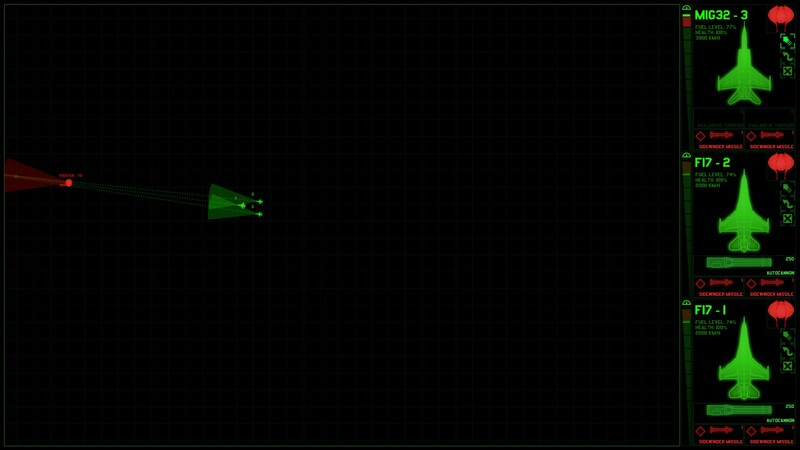 The controls feel like Jagged Alliance 2’s: left-clicking on a destination square will show a soldier’s projected path and how many APs will remain; right-clicking on a target determines how long a soldier will aim his shot; burst fire is toggled by hitting a button. Unsurprisingly, this is a big improvement over the original. The “interesting choices” extend to your soldiers’ weapons, which feel nicely differentiated. Take the small arms. Assault rifles are jacks of all trade, masters of none. Shotguns are hideously short-ranged, but take relatively few action points to shoot, meaning a Xenonaut can still fire after moving long distances. At this stage, however, it looks like the squad’s real killing power is in its support weapons. These are heavy, take an accuracy penalty if their bearer moves and shoots in the same turn – and hit like a ton of bricks. Machine guns can unleash whole volleys at a time. Even unaimed, precision rifles take plenty of AP to fire, but investing just a few more APs pushes their accuracy into the stratosphere. And rocket launchers, just as they did in the original, will level anything near their target. All in all, if the early game is any indication, Goldhawk knows what it’s doing at the design level. It has plenty of work yet to do, and it’s too soon to tell how balance, pacing, and the other ingredients of “fun” will eventually come together. However, if Goldhawk can (A) sustain the quality of its ideas through the mid-to-late game; and (B) get the nuts and bolts right, this would bode very well for the final product. In the meantime, yes, Xenonauts is definitely worth your attention. Public alpha demo, mirror, and official torrent. Note: the above comments were based on a preview build supplied by the game’s developer, Goldhawk Interactive. Next Next post: Anime’s reclusive cousin: what happened to light novels?